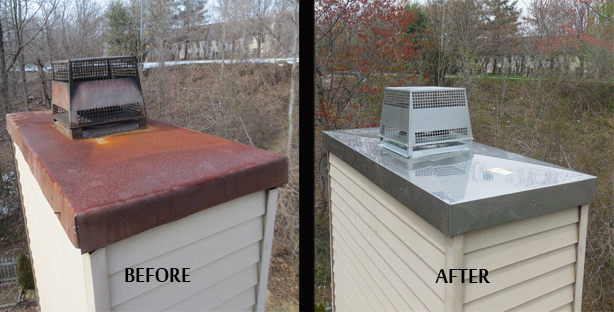 Upgrade to a Stainless Steel Chimney Chase Cover! 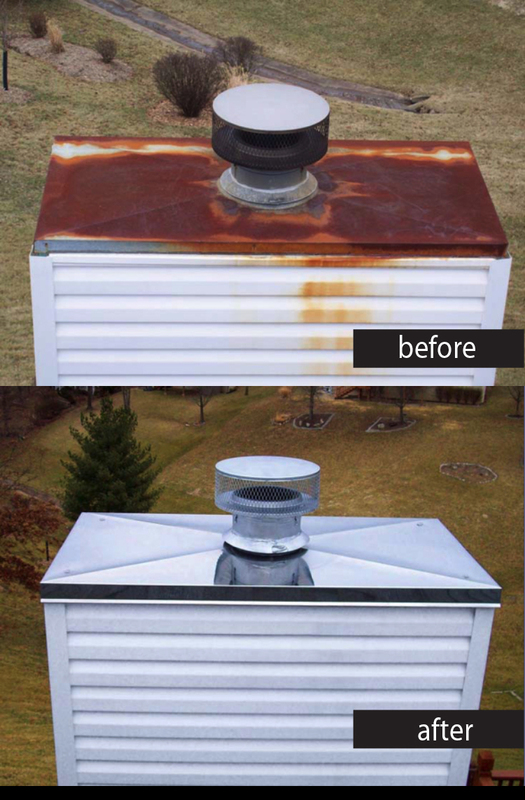 Chimney Chase Covers are exactly what they sound like, tops that go over your chimney chase. Also known as chimney chase caps or chimney chase tops, they come in several materials, including copper, stainless steel and galvanized steel. Most chase covers are installed at the time of original construction, were built of a very thin 30 gauge sheet metal, which was bent on the construction site and usually by hand. This results in a poor fitting cover that did not allow for expansion, contraction, or proper water shedding, causing excessive wear, rusting and leaking into chase cover and ultimately the fireplace.